The FTC has filed its opposition to Qualcomm’s motion to dismiss monopolization and unfair competition claims filed by the agency over the chipmaker’s alleged use of its monopoly power in the market for modem chips to coerce a range of exclusionary terms of dealing with customers, and its refusal to license standard-essential patents (SEPs) to competitors. In addition, Samsung, Intel, and the American Antitrust Institute have filed friend-of-the-court briefs in support of the FTC’s claims against Qualcomm ((FTC v. Qualcomm Inc., FTC File No. 141 0199, Civil Action No. 5:17-cv-00220). Complaint. The FTC alleged that Qualcomm unlawfully maintained its monopoly in a type of semiconductor device that enables cellular communications in cell phones and other products by, among other things, consistently refusing to license standard-essential patents on fair, reasonable, and non-discriminatory, or "FRAND," terms to competing suppliers of these baseband processors. The FTC challenged Qualcomm's alleged efforts to condition the supply of baseband processors on licenses to FRAND-encumbered patents on Qualcomm’s preferred terms. Moreover, Qualcomm allegedly refused to license FRAND-encumbered Standard-essential patents (SEPs) to its competitors. In addition, the company purportedly extracted baseband processor exclusivity from Apple in exchange for partial royalty relief. The agency is seeking an injunction against Qualcomm "to undo and prevent its unfair methods of competition in or affecting commerce." Motion to dismiss. In its motion to dismiss, Qualcomm asserted that the FTC’s theory of competitive harm was not supported by the facts. The FTC alleged that Qualcomm engaged in exclusionary conduct that taxes its competitors’ baseband processor sales, reduces competitors’ ability and incentive to innovate, and raises prices paid by consumers for cell phones and tablets. However, according to the motion, the complaint failed to allege that Qualcomm’s royalties cause any exclusion of rival suppliers. Indeed, the Complaint does not allege a single instance in which a competing chip supplier failed to make a sale, changed its pricing, or suffered any other consequence because of Qualcomm’s patent royalties. The theory of harm arguably rested entirely on its speculative "tax" theory of harm; and the theory itself is foreclosed by black-letter law. Qualcomm also argued that while the complaint alleged that Qualcomm makes incentive payments to certain customers to maintain higher royalties that "exacerbate" the effect of the so-called "tax," the FTC did not allege that these payments result in predatory pricing or have conditions that substantially foreclose competitors from making sales. Also, the complaint alleged that Qualcomm’s practice of licensing the manufacture and sale of handsets, rather than the manufacture and sale of handset components such as modem chips, violated Qualcomm’s commitments to cellular standard setting organizations (SSOs) that Qualcomm would license its standard-essential patents on FRAND terms. 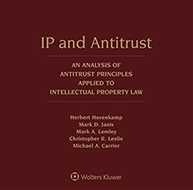 Even if licensing only at the handset level were a FRAND violation (which it is not), a FRAND violation is not itself an antitrust violation. Qualcomm has no duty under the antitrust laws to assist its competitors. Qualcomm’s motion for dismissal also argued that the FTC’s second theory—that Qualcomm’s now-expired agreements with Apple constituted unlawful exclusive dealing—also failed to state a claim. A claim of exclusive dealing requires the FTC to allege foreclosure of rivals that is sufficient in magnitude and scope to deprive them of the opportunity to compete for efficient scale. The complaint did not allege that the Apple agreements foreclosed a substantial portion of competition in any market, and did not allege anything at all about what portion of a purported market was allegedly foreclosed, Qualcomm argued. Nor did the FTC identify any competitor that was excluded. Rather, alleged Qualcomm, the FTC conceded that Intel was able to garner a significant share of Apple’s modem chip business during the term of the challenged agreements. Opposition to motion to dismiss. The FTC argued in its opposition that, instead of confronting the complaint, Qualcomm improperly relied on its own assertions of facts outside of the complaint. Although it acknowledged that the complaint’s factual allegations must be accepted as true and interpreted in the light most favorable to the FTC, Qualcomm repeatedly denied the existence of well pleaded facts. For example, Qualcomm argued that the complaint never alleged that the no license-no chips policy elevated royalties to above FRAND rates. In fact however, the complaint is replete with such allegations, the FTC observed. The complaint stated a valid claim for monopolization, the FTC argued, by alleging that Qualcomm engaged in a series of anticompetitive practices that together exclude competition in the relevant markets. Although Qualcomm treated these allegations as stating two separate claims-a tax on rivals, and an exclusive dealing claim-the alleged conduct must be considered as a whole, the FTC urged. Qualcomm’s tax, secured through threats of supply disruptions and promises of payments, diminishes the ability and incentive of competitors to enter, invest, and innovate. Its refusal to license competitors helped maintain the tax and its exclusive dealing with Apple deprived its potential competitors access to a critical strategic customer. Together these practices successfully maintained Qualcomm’s monopoly power, according to the FTC. The complaint also alleged a valid claim of restraint of trade. Qualcomm’s licenses to customers, agreements to pay [redacted], and exclusive deals with Apple are agreements that unreasonably restrain trade. The competitive harm from such conduct was sufficient to establish the unreasonable nature of these agreements. Qualcomm’s contention that there was no concerted action was without merit, the FTC argued, because executed licenses containing coerced terms are agreements for purposes of Section 1. Finally, the complaint sufficiently alleged coercive and exclusionary conduct and an economically sound theory of competitive injury. The standalone Section 5 claim should therefore be sustained. Samsung’s brief. In its motion for leave to file brief of amici curiae, Samsung Electronics Co. and Samsung Semiconductor (Samsung) argued that, as a Qualcomm licensee in the handset manufacturing business and an excluded competitor in chipset sales, Samsung was uniquely positioned to assist the court in understanding the impact of Qualcomm’s conduct on competition in the upstream market to make and sell chipsets and in the downstream handset market. In both capacities, as a licensee and competitor, Samsung has directly experienced and been harmed by the exclusionary conduct alleged in the FTC’s complaint. "Because of Qualcomm’s FRAND promises, SSOs adopted mobile standards that rely on Qualcomm’s SEPs, foregoing competing standards," Samsung detailed in its amici curiae brief. "But Qualcomm has not upheld its end of the bargain: Despite declaring thousands of SEPs, Qualcomm altogether refuses to license SEPs to rival chipset manufacturers, instead licensing only handset manufacturers. Qualcomm then leverages and solidifies this market power by charging a ‘tax’ to handset manufacturers that further cements its monopoly power by imposing terms that significantly diminish demand for competing chipsets." Qualcomm’s practices not only violated FRAND but its conduct excluded potential competitors and harmed consumers and the FTC’s complaint fit well within the case law linking FRAND to the antitrust law, Samsung asserted. 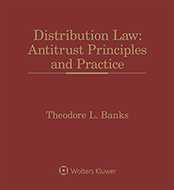 American Antitrust Institute brief. The American Antitrust Institute (AAI), in its motion for leave to file brief of amicus curiae, contended that it has a longstanding interest in making sure that standard setting among competitors is not abused and that FRAN commitments are not evaded. Further, Qualcomm’s motion to dismiss raised important antitrust questions that were central to AAI’s mission: "Qualcomm asks the Court to impose a high bar for pleading raising rivals’ costs and exclusive dealing theories in a monopoly maintenance case under § 2 of the Sherman Act…And it questions the scope of the Federal Trade Commission’s ‘standalone’ Section 5 authority in the standard-setting context, an area in which the FTC has been highly active but where the case law is sparse." In its amicus brief, the AAI attempted to explain why Qualcomm’s legal and factual attacks on the complaint lacked merit. 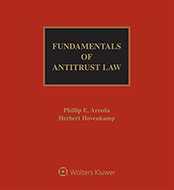 "The complaint states a monopolization claim because it plausibly alleges conduct that: (a) impairs Qualcomm’s rivals’ opportunities, and (b) reasonably appears capable of making a significant contribution to maintaining Qualcomm’s monopoly power…The complaint also alleges a standalone violation of § 5, which may be found even in the absence of exclusion," according to the AAI. Intel brief. In the blog posting "Why Intel Filed an Amicus Brief in Support of the FTC’s Complaint Against Qualcomm," Intel argued that it is ready, willing, and able to compete on the merits in the smartphone modem chip market that Qualcomm has dominated for years, but Qualcomm has maintained an interlocking web of abusive patent and commercial practices that subverts competition on the merits. These practices prompted the filing of its amicus brief, Intel observed, because they have "illegally coerced mobile phone manufacturers into purchasing the chipsets they need from Qualcomm and Qualcomm alone." Because the FTC’s attempt to shed light on Qualcomm’s anticompetitive practices is of great importance to the industry as a whole, several other companies and trade associations also have filed briefs supporting the FTC. Intel’s brief, in particular, illuminated the adverse impact that Qualcomm’s conduct is having on competition and innovation, and explains how that conduct violates the antitrust laws in several different ways, it noted. Attorneys: Geoffrey M. Green for the FTC. Gary Andrew Bornstein (Cravath, Swaine & Moore LLP) and Geoffrey T. Holtz (Morgan, Lewis & Bockius LLP) for Qualcomm Inc. Ian Simmons (O’Melveny & Myers LLP) for Samsung Electronics Co. Ltd. Eric B. Fastiff (Lieff, Cabraser, Heimann & Bernstein, LLP) for American Antitrust Institute. Benjamin J. Horwich (Munger, Tolles & Olson LLP) for Intel Corp.
Companies: Intel Corp.; Qualcomm Inc.; Samsung Electronics Co. Ltd.